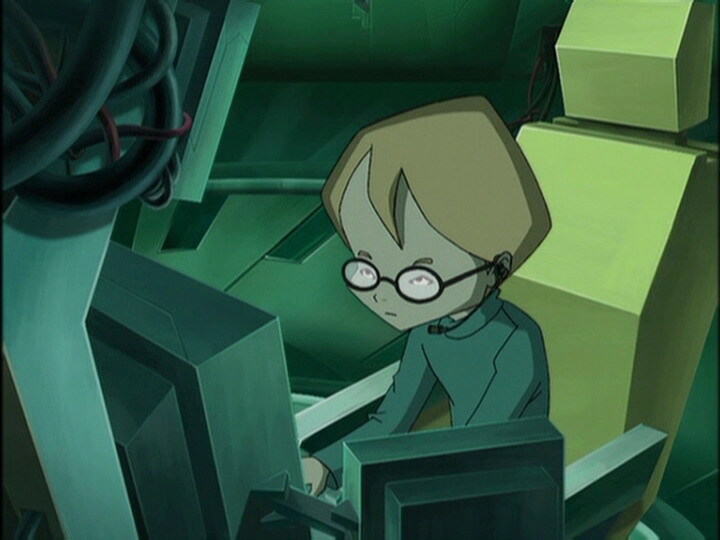 Once there, the doctors find that his blood pressure is dropping rapidly... Ulrich feels guilty... Jeremy contacts Aelita and explains their situation. He’s still not certain XANA has anything to do with it: it can’t attack humans directly. 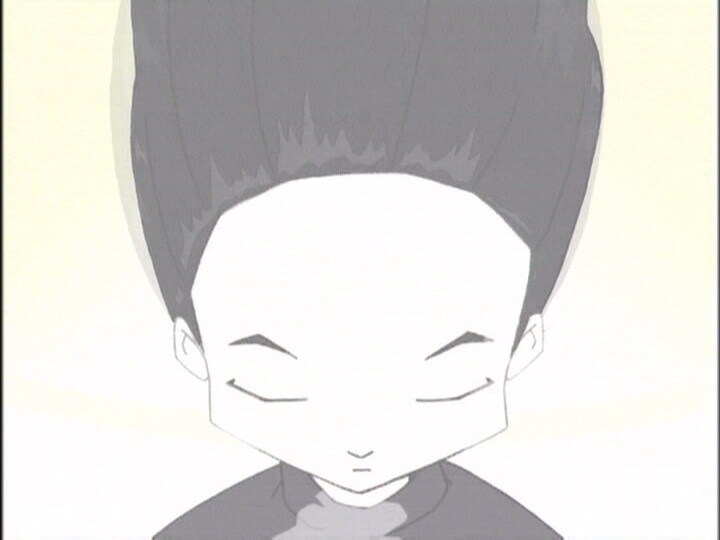 But Aelita warns him that there are pulsations in the Mountain Sector... XANA has woken up. Jeremy and Ulrich head for the factory. 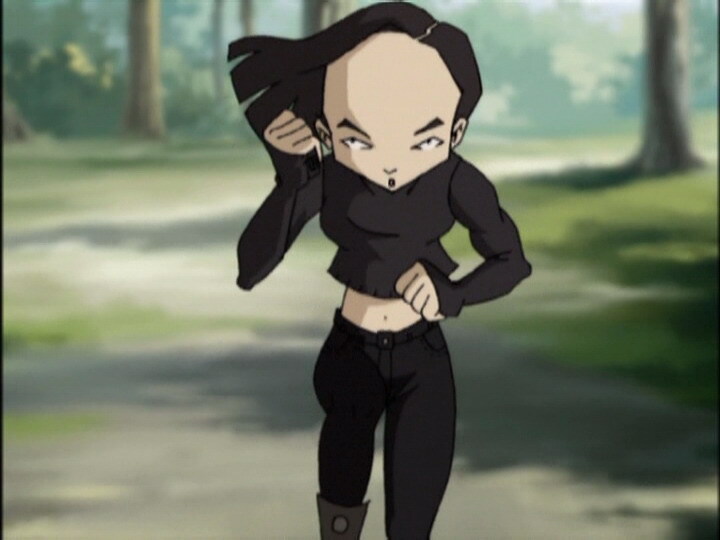 At the school, Yumi sees Sissi fall unconscious... She is listening to the same music as Odd: “Glad When You’re Bad” and the sound makes the Japanese girl feel dizzy... She’s certain: XANA has created a new song and attacked human beings through their auditory nerves, relaying it to the brain... Fleeing the music XANA is broadcasting on the radio, Yumi joins Jeremy at the factory and explains to him how she discovered the killer music. In the lab, the music begins to play. Caught off-guard, Jeremy tries to disconnect the cables to stop the killer music, but it does nothing, the music keeps playing... In a final effort, the boy enters the codes and parameters for the return to the past, before falling unmoving on the keyboard. 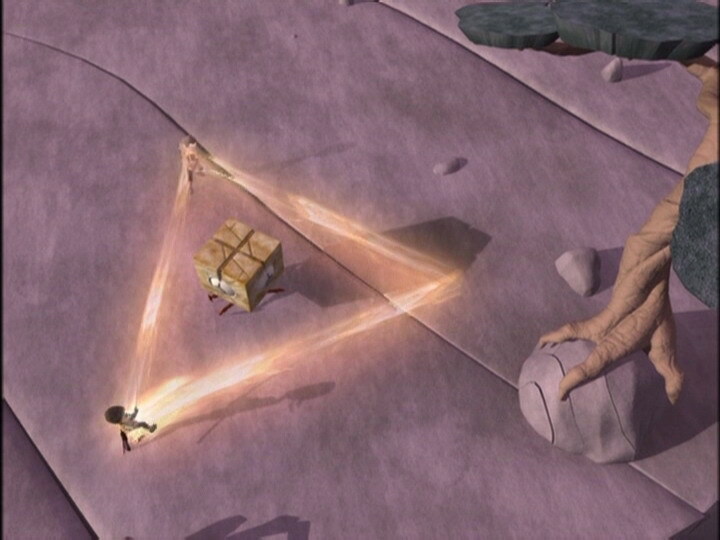 The last obstacle on Lyoko, in order to get to the tower, they need to get past a large number of moving rocks. 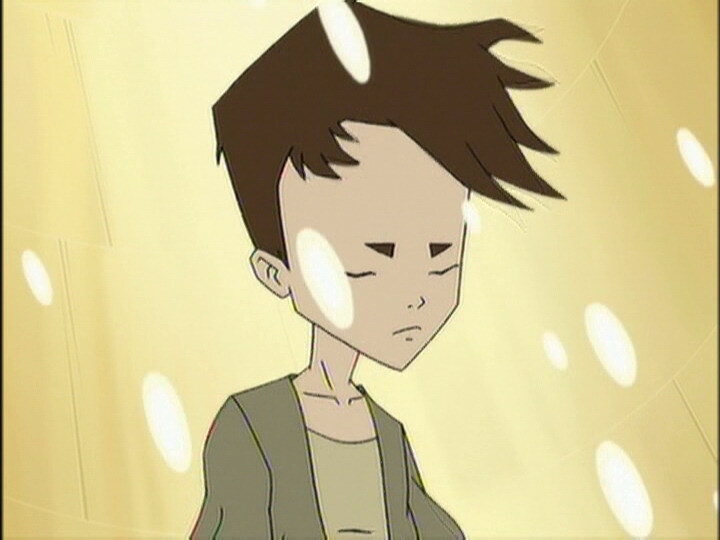 But Aelita, protected by Yumi, manages to get across. She types in the Code at the moment when Odd’s life begins to slip away. Back to the previous evening, Odd helps Ulrich with his study, abandoning his music player on which he was listening to a song as terrible as “Glad When You’re Bad”: “Under my Cover” by RU Flicknight. - Attack: Create a popular song and implant soundwaves in it that are harmful to humans: prolonged exposure provokes a drop in heart rate. XANA does everything it can to spread the soundwaves everywhere. - Return to the past to save the world from XANA’s deadly music. - First mention of the last name of a doctor at the hospital. - First time Yumi almost falls into the Digital Sea. - First time Odd is admitted to hospital. - Third time Ulrich is frozen by a Blok. - Fourth season 1 episode in which Jim is absent. - Odd went into cardiac arrest; he was saved before total death by the return to the past. - Ulrich isn’t very good at physics, but Odd is. 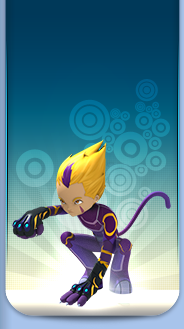 - Jeremy dreams about Aelita and says that XANA can’t attack humans directly. - The principal says he cannot let students leave Kadic, being under his responsibility. - XANA’s song is called “Glad When You’re Bad” and the one Odd listens to at the end is “Under my Coat”. - In a number of shots, the activated tower’s halo disappears. - During Ms Hertz’ class, the students are from mixed classes. - Herb’s collar is green instead of white and his hair is entirely black. - Ulrich’s pencil disappears from his desk when he leaves his room. - The door to Odd and Ulrich’s room changes often changes colour (grey, brown and red). - At the moment when Sissi leaves the science building, her headband is black instead of yellow. - The mouse and mouse pad for Jeremy’s computer disappear when he says to Ulrich “whatever you say”. - When Ulrich leaves his room to sleep in Jeremy’s, the door handle is on the left instead of the right. - At the moment when the RTTP is launched, we see that it’s night time though the episode took place during the day. - During the RTTP, Odd no longer wears his silly grin and his eyes are closed, and the curtains of his room are closed. - At the moment when he is virtualised, Ulrich’s sabre sheath is on the right instead of the left, as well as when he is frozen by the Bloks and three shots afterwards. 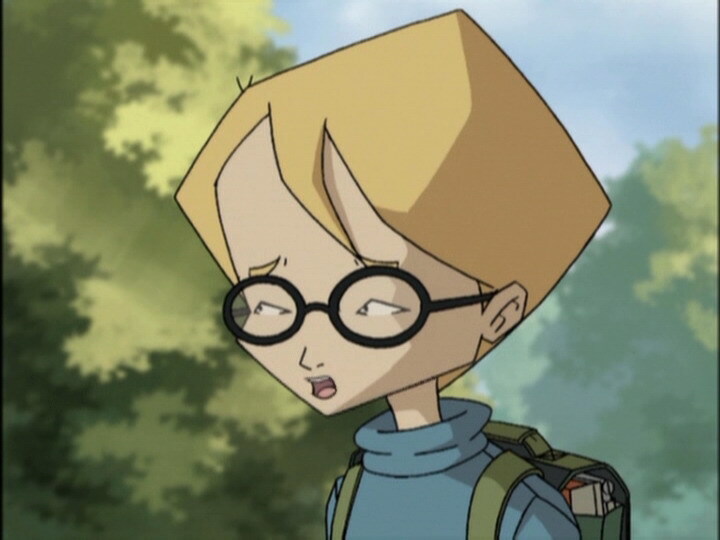 - When Yumi takes her skateboard, Jeremy’s scooter is absent even though Jeremy is at the hospital with Ulrich. 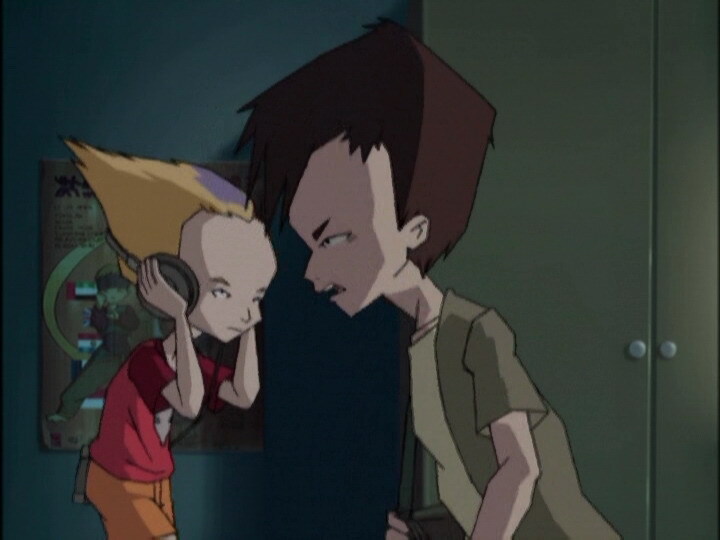 - Three Kadic students and Ms Hertz are standing in the hospital when Jeremy goes to talk to Aelita on his laptop, and again when the music takes effect on the whole town. Mr Delmas stated earlier that he can’t allow students to go off the grounds during the day, so they shouldn’t have been there. 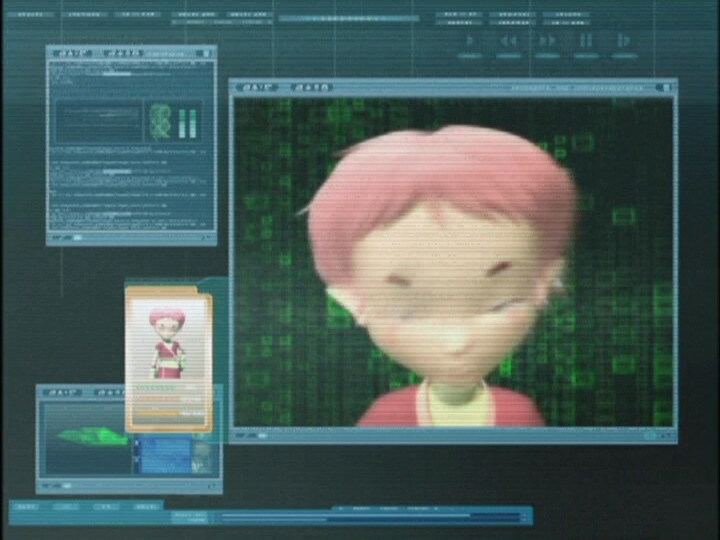 - After Aelita enters the tower and the code, her outfit is reversed, her bandages and earring on the wrong side. - Jeremy’s pants are blue instead of khaki and Ulrich’s pants are brown instead of green and his shoes black when Sissi, Herb and Nicolas walk past their table. - During the school day, students can’t leave the grounds. - First episode in which Ulrich and Jeremy go to the factory together, just the two of them. - First appearance of Yumi in the Mountains. - First mention of the hospital. - First mention of RU Flicknight! - First mention of the co-ordinates of the return to the past, and the first time we see Jeremy enter them. - First mention of the music Odd has downloaded called Glad When You’re Bad and Under my Cover! - First time wind is visible on Earth, at the entrance to Kadic’s park! - Only episode written by Sophie Dubreuil. - Only season 1 episode in which we see Ulrich leave the scanner, and spend the night in Jeremy’s room. - Reappearance of the news presenters and reporters. - The radio channel Yolanda listens to is the same as Sissi’s. 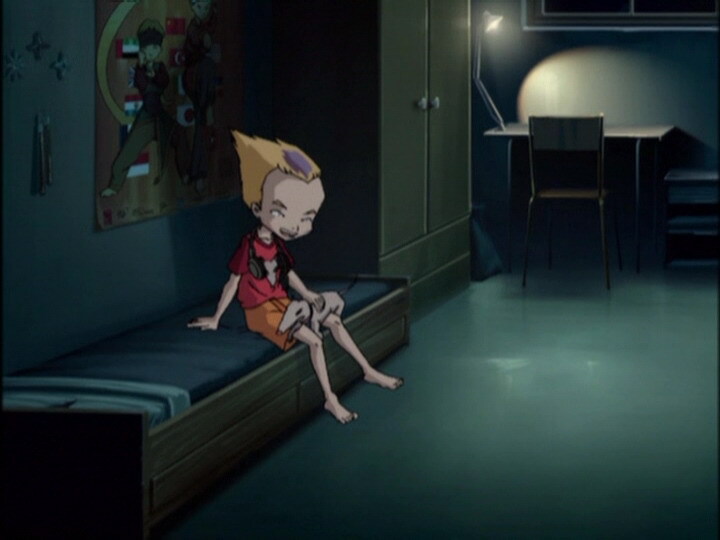 - In the deactivated tower in the Forest, Aelita sits in exactly the same pose as in episode 11, “Plagued”. Odd: Oh, oh, oh, oh! Oh, I’m glad when you’re so bad! Uh, uh, OH, OHH! 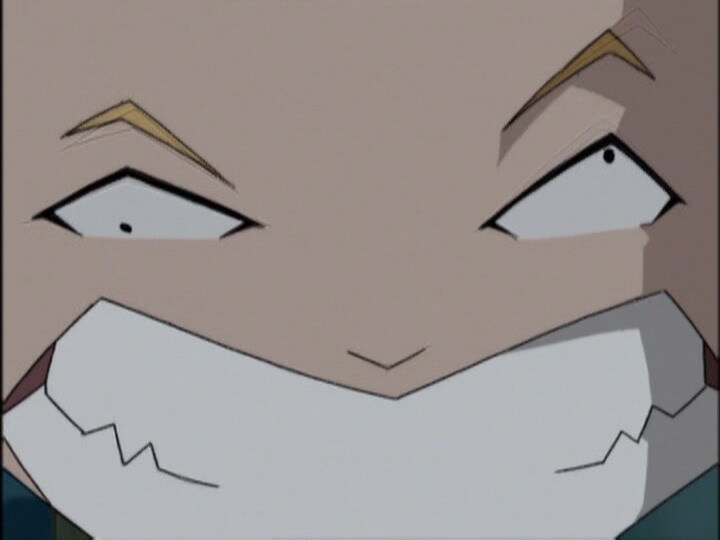 Ulrich: Hey, Odd! If you don’t mind, I’m…trying to study! Odd: Mm mm mmm mm…YEEEEEEEEEAHHHH! Ulrich: Cut that out! Maybe you forgot, but we’ve got a test tomorrow! …SO STOP! Odd: Huh? What’d you say? I can’t hear a thing! Ulrich: I said I want to study, ODD! Odd: What’s the sense of you studying? Whatever you do, you’re still going to get a zero in physics! So why not listen to what I downloaded from the web? Go on, listen to it! It sure beats studying! It’s like pure music! And nobody knows who wrote it either! It’s an MP3 file, and it’s free! It’s a pop rock revolution! Ulrich: You want a revolution? Ok, I’ll give you one! Odd: Hey, where you goin’? Ulrich: To Jeremy’s room! At least he knows you need peace and quiet when you’re studying! He’s not like you, selfish! Odd: Don’t worry, Kiwi, he’ll get over it! Ulrich: Odd and his music are driving me nuts! Jeremy: You’re not into heavy metal, pop, funk? Ulrich: Not when I have to study for an exam! Ulrich: I didn’t get a lot of sleep. Jeremy: Shhhh! She’ll hear you! Ulrich: Between you and Odd, I can’t study or sleep! Jeremy: Hey, you’re not gonna tell anybody, huh? Sissi: I honestly can’t believe how unhip you guys are! You’re a couple of real losers! You ought to go out once in a while! Nicolas: Well then fill us in, Sissi! What kind of music is it? Is it R&B? Sissi: R&B?! While not waltz music while you’re at it?! Jeremy: We can’t let him miss his exam! Ulrich: He sang that same song over and over! And look, now he’s fast asleep! Jeremy: Hey Odd, get up, will you? Ulrich: If this is a joke, it’s a bad one! Ulrich (to the ambulance driver): I’m staying with him! Principal: I’m sorry, Ulrich, but I can’t permit you to leave the school grounds. Ulrich: I’m staying with Odd! 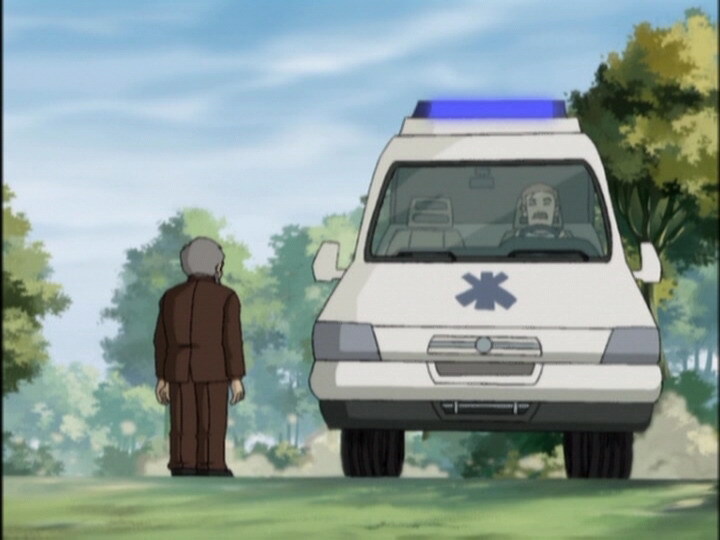 Principal: Ulrich, get away from that ambulance! That is not the right way to help him! Ulrich: I don’t care. I can’t let him be taken away like this. Ulrich (talking to Odd who’s in a coma): Well get you out of this. I swear we will. Yumi: You’ll never make it all alone! Ulrich: Who said I would be alone? Odd: What’s the sense of studying? You’re gonna get a zero! Ulrich: Ugh, I’ve heard that twice already, that’s enough. Odd: Hey, listen to what I downloaded from the Web! It’s out of sight! “Under my Cover”! By RU Flicknight! It’s incredible! Ulrich: And as for you, I wouldn’t say no to your helping me a little. You’re so good in physics! Odd: That’s right! And if you want help, the reincarnation of Einstein is willing to give a lesson to a sawdust-filled head! Ulrich: It’s the kind of song a machine might’ve written? Odd: Yeah, that’s right. See, you know a lot about music!